Ken Hedberg participated actively in many professional organizations and received numerous fellowships and awards throughout his distinguished career. He was a member of the American Chemical Society, a fellow of the American Physical Society – for which he served terms as secretary-treasurer and vice-chairman – a fellow of the American Association for the Advancement of Science, and a member of the editorial board for the Journal of Chemical Physics. Included in a long roster of decorations were the OSU Sigma Xi Research Award (1974), the OSU Alumni Distinguished Professor Award (1975), the International Dr. Barbara Mez-Starck Prize (2005) given for outstanding contributions in the field of experimental structural chemistry, and the OSU College of Science Lifetime Achievement in Science Award (2016). His connections to Norway also resulted on numerous honoraries. In 1982 he was named a Norwegian Marshall Plan Fellow and he served as the Odd Hassel Memorial Lecturer at the University of Oslo in 1984. He was elected a foreign member of the Norwegian Academy of Sciences in 1978, a member of the Royal Norwegian Society of Science and Letters in 1996, and in 1992 he received an honorary doctorate from the University of Trondheim, Norway. He also enjoyed visiting professorships at the University of Texas at Austin and at the University of Reading, England. Scientifically, Hedberg is probably best known for being the first investigator to use gas-phase electron diffraction to determine the gas-phase structures of the fullerenes, C60, C70, and C60F48. But in addition to his contributions to research in physical chemistry and his expertise in the field of electron diffraction, Hedberg’s lasting impact can be measured, at least in part, by the genuine care and admiration that he engendered in his colleagues. Dr. Hedberg’s research specialty is determination of molecular structure by gas phase electron diffraction. In this field he has risen to the position of world leader, eclipsing all others in my judgement (and I am close to the field, being an x-ray diffractionist). This field had a heyday a quarter century ago, and many people said that there would be nothing left to work on in a short time. However, largely due to the ingenuity of Professor Hedberg, the field is still (or rather again) going strong. I was thrilled to read that Ken Hedberg is still with us and still carrying out his very important research. I took his chemistry class as an engineering freshman 50 years ago. In one lab session we had a nice conversation about cars…I remember the exchange after all these years because he was such a nice guy and so good to us poor confused undergraduates, always cracking gentle jokes during lecture and helping us in every way he could…OSU is blessed to have him, and I am blessed to have known him. A page from Ken Hedberg’s “visiting researcher scrapbook,” a sixty-three page volume that contains photos and inscriptions from all of the researchers who visited Corvallis to conduct work in the Hedberg electron diffraction laboratory. Ken Hedberg’s career was defined by scientific excellence, but even more so by his collaborative spirit and his relationship with his wife Lise, who was his scientific partner as well as his life partner from the day they met until his death this year. Science, for Hedberg, was a social endeavor as well as an academic one, and his lab was a hotspot for visiting researchers from around the world as well as a safe space for generations of OSU chemistry students. With his passing the university has lost a true icon, but his impact will be felt for many years to come. Ken Hedberg, a colleague, and the Hedberg electron diffraction apparatus, 1960. Ken and Lise Hedberg, along with their three-month old son Erik, moved back to Corvallis in January 1956 during a heavy storm. As the couple approached their final destination, Hedberg remembers water reaching almost to the hubcaps of their car. When they finally did make it to Corvallis, the city was largely flooded for the next couple of days. In a turn of events that fit well with the dreary weather, on Ken’s first day of work at Oregon State College he learned that, in addition to his supervisory responsibilities, he would also be teaching a graduate-level physical chemistry course. The class was scheduled to meet three hours a week and he had been given no time at all to prepare lecture notes. Hedberg ultimately made it through the term, during which he tracked the time that he had spent on teaching-related activities. Including office hours and lesson planning, and found that he averaged 56 hours per week just on his instructional work. At the same time, Ken was also tasked with getting his research program running. The first step in doing so entailed designing and building an electron diffraction apparatus for which he had received a $30,000 grant. He made an arrangement with the Physics workshop on campus to have the machine constructed, overseeing the process from start to finish. The device took several years to complete, but it worked well and has been used to significant effect for more than fifty-five years. 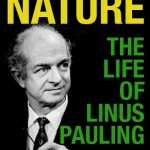 Indeed, Linus Pauling was one of many colleagues from around the world to run samples through the instrument. When it was built, Hedberg’s gas phase electron diffraction apparatus was state of the art, and during most of his career there were only two laboratories in the U.S. that could perform similar work. As time moved forward and other techniques were developed, gas phase electron diffraction fell out of view for many scientists, thus rendering Hedberg’s lab even more valuable for those who wished to employ the methodology in their advancement of basic science. As a result, Hedberg rarely encountered difficulty in acquiring grant support. His position as a hub for electron diffraction research also led to his making and maintaining a vast number of friendships with scientists across the globe. The electron diffraction unit that Hedberg built utilizes a nozzle to release gas-phase samples in a stream that runs perpendicular to a vertical beam of electrons. The collision that ensues scatters the electron beam and results in a diffraction pattern that is subsequently recorded on a photographic plate fixed at the bottom of the device. These diffraction patterns are then analyzed to determine specific characteristics of the sample in question. It only takes a few minutes to run a sample, so lots of substances can be run in a day, but the analysis takes much longer — elucidating molecular structures from diffraction patterns is a complicated process. Another hurdle that Hedberg sometimes faced was transforming particular substances into a gas phase in order to enable this type of analysis in the first place. One notable example was C60, which needs to be heated to 800°C to obtain any kind of vapor. Another instance was N2O4, which degrades to NO2 very rapidly as temperature and pressure increase. Nobody knew for sure if it was even possible to run gas phase electron diffraction analysis on these two substances but, in both instances, Hedberg and his team found a way to create the sample and collect the data. A few months after he had arrived back in Corvallis, Hedberg wrote to Pauling to provide an update on how he was settling in. He reported that, as expected, he and Lise both liked Oregon a lot, and that Erik was growing very fast and had learned a few Norwegian words. He also let Pauling know that his picture was on display in the Memorial Union, one in a series featuring distinguished alumni of the college. Ken’s correspondence with old Caltech colleagues was certainly not limited to Pauling and, in one particular instance, Hedberg’s connections played a key role in shaping the Chemistry department at Oregon State. When the chair’s position in Chemistry opened up in the late 1960s, Hedberg encouraged his former Caltech office-mate, David Shoemaker, to consider the opportunity. Shoemaker was then on faculty at MIT but he had ties to the west and was open to the idea of returning to that side of the country. He and his wife, Clara Brink Shoemaker, were both distinguished crystallographers, and one of David’s conditions for coming to OSU was that Clara be offered a research position as well. This condition presented a bit of a problem due to a Depression-era anti-nepotism law that prevented members of the same family from being employed in the same department, except under unusual circumstances. Ken and Lise Hedberg had been able to work together because OSU’s president, Robert MacVicar, good-naturedly regarded a husband-wife scientific team to be an “unusual circumstance.” He allowed the Shoemakers to use the same loophole with one stipulation: officially, Hedberg was to serve as Clara’s supervisor and Shoemaker as Lise’s. This arrangement stood as a running joke between the two couples for several years until the rules were ultimately relaxed. Three years after he came back to Oregon State, Hedberg was moved into the physical chemistry division of the Chemistry department. With that change, Ken still taught general chemistry and took up new courses in physical chemistry, but was no longer responsible for supervising the department’s graduate teaching assistants. His teaching load remained heavy for a while as he prepared lecture notes for his new classes, but eventually he settled into a more manageable routine. When he finally achieved that balance, Oregon State revealed itself to be a very comfortable place. The Chemistry department was cohesive and friendly, dinner parties and holiday gatherings were common within the faculty, and the competitive divisiveness that often plagues academic units was refreshingly lacking. Meanwhile, life continued to evolve for Lise as well. During their years together in Pasadena, the Hedbergs had worked as a team on a variety of electron diffraction projects. And although Lise wanted to continue her work at Oregon State, she was unable to for the first few years because she needed to care for young Erik. Their daughter, Anne Katherine – known as Katrina – was born a couple of years after the move to Corvallis, thus further extending Lise’s stay-at-home period. At long last, when the kids were finally old enough to go to school, Lise would drop them off in the mornings, head over to the university to work in the lab, and then pick them up at the end of the school day. Later, when they were old enough to get to school on their own, she would watch them leave the house and then be home in time to meet them in the afternoons. According to Ken, it took a while for the Hedberg children to realize that their mother worked out of the home, because she was always there when they left and waiting when they got back. In a 2011 oral history interview, Hedberg identified his proudest accomplishment as having overcome his humble beginnings to live a happy, successful life. In offering these reflections, he was quick to point out several moments where small twists of fortune made a dramatic impact on the trajectory of his life. Chief among these was his fateful late fellowship application that ultimately led to him going to Norway instead of Belgium. He mused that if he had submitted the first application on time, he would never have met Lise nor had any of the professional and personal affiliations in Norway that he enjoyed throughout his life. Indeed, Norway was a critical component of Hedberg’s journey, both personal and scientific. Over the years, the Hedbergs returned to the country numerous times on sabbatical and research trips, and also to visit Lise’s family. The scientific work that they conducted during these visits ultimately led to numerous decorations for Ken. By the end of this life, he had received an honorary degree from the University of Trondheim – offered for “more than 40 years in collaboration with scientists from Japan, Germany, Norway, New Zealand, Great Britain, Hungary, Austria and China” – and been inducted into the Norwegian Academy of Sciences. One one occasion, Hedberg met the Norwegian king at a banquet and spent much of the evening talking with Crown Prince Harald. Likewise, many of the students with whom he worked in the Oslo and Trondheim electron diffraction labs made their own visits to Corvallis to collaborate with Ken. One of these individuals, Kolbjörn Hagen, emerged as an especially important research colleague, as well as a dear friend. …Professor Hedberg has more understanding of the nature of chemical bonding in molecules than any other person in the Chemistry Department or on the Oregon State University campus. Perhaps one can even include all of Oregon, except when Linus Pauling is visiting. The Hedbergs’ son Erik was also handy with computers and often helped his parents manage their programs. The family published two papers together – one by Ken, Lise, and Erik, and one by Ken, Lise, and Katrina – and the authorship shorthand of “Hedberg, Hedberg and Hedberg” was a source of continuing delight for Ken. In 1983 Ken notified Shoemaker that, after twenty-seven years on faculty, he felt ready to retire, which he did officially in 1987. Hedberg’s primary motivation for this change was to free himself from his teaching burden, but he had no intention of stopping his research. A few years into his so-called “retirement,” Hedberg wrote to Pauling to provide an update on his life. Amidst news about family, travel and tennis, he noted with glee the enjoyment that he was experiencing in being able to work 12-hour days in his lab. This remained the pattern of Hedberg’s life for another thirty years, a run of time marked by steady grant funding, continuing research, collaboration with faculty colleagues, supervision of graduate students, and mentorship of OSU undergraduates several decades his junior. Kenneth Wayne Hedberg was born in Portland, Oregon on February 2, 1920. He had one sister who was two and half years younger than himself. His family moved to the Coos Bay region when he was six years old, then to Hoquiam, Washington when he was 12 years old, and finally to Medford, Oregon when he was 16 years old; he finished high school there. Ken’s mother was a housewife who worked at a naval station in Astoria, Oregon during World War II. His father was a wholesale grocery salesman for a company called Mason-Erhman. His work required him to travel to the company’s storefronts around the state to take grocery orders, which he then transmitted to warehouses for delivery the next morning. Ken sometimes accompanied his father on his routes, but he found the work boring. The Hedberg family was close and often played cards together in the evenings and on the weekends, and also went to movies and listened to radio shows together. Ken also enjoyed physical activity, playing on the tennis team in high school and lettering on the varsity squad while an undergraduate at Oregon State College (now Oregon State University). As a child, he also played touch football with the other kids from his neighborhood and collected stamps as a hobby. My real interest in science developed…but it wasn’t clear to me that I was going to be a scientist as a professional. And through high school and so on, science was easy for me, both physics and chemistry…there were a number of people who always came to me with questions about science. We didn’t have homework in the same way then but it seemed to come so easily to me that I didn’t have much trouble answering the questions. Ken graduated from high school in 1937 – the height of the Great Depression – and found work picking pears in the nearby orchards. His real ambition though was to attend college. Neither of his parents had gone – his father stopped attending school after eighth grade and his mother finished high school but did not continue on to university. Both of Ken’s parents wanted their children to have that opportunity, but money was tight. Despite the financial roadblocks, Hedberg did not give up on the idea of a college education. As he thought more about it, he decided that he would pursue science, but was unsure about whether to choose physics or chemistry. To solve that difficulty, he wandered into the public library one day and checked out some books on physics and chemistry that went beyond what he had been taught in school so that he could get a clearer picture of the types of research questions and methods that characterized each discipline. Based on his reading, he decided that the research opportunities available in chemistry appealed to him more than physics. …we were enough destitute that the power company turned off all the electricity so that we cooked with a stove with some wood and we had a camping lantern that we used in the evening. We managed to avoid getting thrown out of the house, which was a rental in Medford, but just barely. Somehow, in the midst of this extreme hardship, Hedberg’s mother scraped together enough money to enable Ken’s registration at Southern Oregon Normal School (now Southern Oregon University). He lived at home and caught a ride each morning with a friend to the neighboring city of Ashland, which was home to the college. He took mostly science and music classes during this time period. The family chose not to tell Ken’s father that he had started school, out of fear that the news might anger him. But as Hedberg later recalled, these fears proved unwarranted. My father told me that somebody in Portland had said ‘you know there was a guy, Kenneth Hedberg, I noticed he got all A’s at Southern Oregon Normal, is that your son?’ My father knew nothing about this and I guess my mom didn’t want to tell him that we had found money to send me to college… So he said ‘no that can’t be my son’ and when it turned out that it was, he was not angry; he was delighted actually. Buoyed by his dad’s approval, Hedberg stayed on at Southern for another term and continued to excel in his courses. Ken Hedberg (back row, second from left) posing with his OSC varsity tennis teammates, 1941. In the spring of 1939, Ken’s father found a job in Astoria and Hedberg transferred to Oregon State College in Corvallis, Oregon, where his younger sister was also starting school. Their mother moved to Corvallis with them in order to provide support. Notably, she bought a house where the three of them lived, and she rented out its extra rooms to help pay the bills. Hedberg was also awarded a full-ride scholarship by OSC and was able to land a student job in the Chemistry department supply room. At the time I didn’t realize what a sacrifice that was, but as time has gone on, I can see what a monumental contribution that was because I wouldn’t have been able to go to Oregon State at all [without it]. The switch to OSC was also a source of some initial culture shock, in part because Southern Oregon Normal did not offer a degree in chemistry. While in Ashland, Hedberg had only been able to take one elementary chemistry course that was taught by a non-chemist — a classmate recalled that Hedberg knew more chemistry than the professor did. In contrast, Ken’s first chemistry class at OSC was analytical chemistry and he got a C on the first exam, but worked hard to ultimately pull a B overall. Once he became accustomed to the culture and academic rigor of a college chemistry program, Ken did very well academically and particularly enjoyed the smaller class sizes and increased interaction between students and faculty offered by OSC. He eventually became a member of the Pi Mu Epsilon national honor society in mathematics, as well as the Phi Lambda Upsilon honor society in chemistry. His student job in the chemistry lab stock room was also a source of satisfaction. Students who needed equipment for lab classes could check out materials by filling out a sheet indicating what they needed. Ken would then go in the back and collect the items, reshelving them when the students were done. Social life was central to Hedberg’s OSC experience, particularly dances and formal events hosted by the college’s fraternities and sororities. One regular happening was a “nickel hop,” wherein all of the school’s sororities would move the furniture out of their living rooms so that male OSC students could move from house to house, paying a nickel to dance with the girls from that sorority. These were heavily chaperoned and dry events. Indeed, alcohol consumption played little part in campus life at that time, as the city had mandated that no alcohol retailer could operate an outlet within two miles of campus. OSC professor Joseph P. Mehlig. When asked to identify professors at OSC whom he considered influential to his development as a chemist and the path that he followed, Hedberg identified J.P. Mehlig, James W. Ferguson, and Bert Christensen. Mehlig was an analytical chemist who taught the first chemistry course that Hedberg took at OSC. (the one that he got a B in) Mehlig’s precision in every aspect of his life was renowned, even spawning a legend that one could set a wristwatch by Mehlig’s arrival at the “Chem Shack” – as the chemistry building was known at the time – at precisely the same time every morning. A further tale had it that Mehlig’s life was turned upside down when, during the war years, he could not buy tires for his car on the precise front-back alternating schedule to which he had grown accustomed. Ferguson was an organic chemist who left OSC during the war years, but whom Hedberg considered to be a superb teacher. Christensen was department chairman after Hedberg joined the faculty at OSC, and Hedberg credited him with facilitating research during a period when federal grants were scarce. It was with Christensen that Hedberg had first research experience. While still an undergraduate, Christensen enlisted Hedberg’s help with a project on the micro-determination of hydroxyl groups, an analytical technique that utilizes a sample of microbalances to determine molecular composition. The duo published their findings together – Hedberg’s first article – and the Shell Development Company, a major research laboratory and Ken’s future employer, later used their method to good effect, a source of continuing pride for Hedberg. As Hedberg neared the conclusion of his studies in late 1943, he found that he had two choices: seek out a job doing war work within the chemical industry or join the Air Force and pursue meteorology or armaments (he could not fly because of poor visual acuity). While he was wrestling with this decision, Shell Development Company offered Ken a job, an opportunity that his faculty mentors encouraged him to accept. He decided to follow this advice, graduated from OSC in December 1943, and subsequently married a fellow OSC graduate, Jean Read. Ken remained on 1-A status throughout the war, which meant that he was eligible for the draft, but Shell appealed five separate times and eventually got him reclassified as deferred status 2-B, on the grounds that he was doing scientific war work. In 1945, near the end of the war, he narrowly missed being included in an occupation draft group because had recently turned 26, and no one over 25 was eligible. During his years at Shell Development Company, Hedberg worked on a few research projects that were central to the war effort, including the development of synthetic rubber. Rubber was integral to the production of military technologies like gas masks, tanks, military vehicles, and fighter jets. The need for synthetics was magnified by the fact that Japanese forces controlled most of the plantations where rubber trees were grown, causing a shortage of natural rubber in the Allied countries. Hedberg also worked to streamline the process by which penicillin is extracted from its growth medium so that it could be produced more efficiently for use in military hospitals. The project that Hedberg was most interested in was the development of an aviation gasoline inhibitor. Aircraft during the Second World War ran on high-octane fuel, which, if stored for extended periods of time, tended to develop a gummy substance that could damage their engines. Since tanks of fuel needed to be stored in the desert for the North African campaign, this gum formation emerged as a major problem for the military. The solution that they had in hand was a red dye additive that would occlude and color the fuel if it began to degrade, such that problematic barrels could be more easily identified and used for purposes where the gum would not cause issues. Unfortunately, in the heat of the North African desert, the red dye revealed a tendency to occlude before the fuel had begun to deteriorate, resulting in good barrels being wasted. Hedberg’s team worked on a project to develop a special inhibitor that would delay the fuel deterioration process. The group also researched the ways in which different weather conditions affected the condition of the fuel and the behavior of the dye, in order to predict how long the fuel could be expected to last in any given environment. In a response that stuck with Hedberg for the rest of his life, Luten told him, “Look, with Linus Pauling they don’t need anybody else.” Hedberg had already been leaning toward Caltech because it was closer to home and he preferred the warm California climate over New England. With Luten’s firm endorsement registered, he made up his mind and accepted the offer at Caltech. James Ellis LuValle, known for his Olympic prowess as well as his contributions to the field of photochemistry, was born on November 10, 1912. LuValle, who would later come under the academic tutelage of Linus Pauling, showed promise in the classroom at an early age and developed an interest in chemistry not long after. The same year that LuValle completed his bachelor’s degree in Chemistry at the University of California, Los Angeles, he also competed in the 1936 Olympics in Berlin. Competing alongside famed teammate Jessie Owens, LuValle was one of a handful of African Americans to participate in a games dominated by Adolf Hitler and the ascendant Nazi party. LuValle had been a track star during his undergraduate years at UCLA, and during the Olympic Trials he clocked a personal best of 46.3 in the 400 meters. While competing in Germany, he posted the meet’s best qualifying times but finished third in the final, crossing the line at 46.8, just 0.3 seconds behind Archie Williams of the United States and Godfrey Brown of Great Britain. LuValle, at right, finishing third in the 400 meters at the 1936 Berlin games. While LuValle was appreciative of his experiences as an athlete, he always prioritized his scientific education. Notably, when considering his undergraduate options, LuValle turned down football and track scholarships to USC and Notre Dame on the premise that the sports programs at the two institutions had too much say in the academic arena. Upon returning to the United States following the Berlin games, LuValle received good news: he had been accepted into a graduate program at UCLA and would be supported by an assistantship. Within a year, LuValle finished the curriculum and completed his thesis, “Photochemistry of Crotonaldeyhde at Elevated Temperatures.” During this period, LuValle also pushed the university’s Graduate Students Association to broaden its representation, and the organization was later integrated into the university’s student association, ASUCLA. Eager to continue his education, LuValle applied to doctoral programs at Wisconsin, Harvard, and the California Institute of Technology. With support from the Julius Rosenwald Fund already in hand, Caltech’s offer of a teaching assistantship was all that LuValle needed to decide to move across town. He began his Ph.D. work under Pauling’s guidance in 1937 and is now believed to have been the first African American graduate student to enroll at Caltech. While university assistantships were certainly nice, the Rosenwald Fund was key to LuValle’s pursuit of an advanced education. Established in 1917, the fund provided support to two categories of applicants: (1) African Americans, and (2) white Southerners who wished to work on a problem distinctive to the South and who expected to also build their careers in the South. The scholarship was open to men and women between the ages of 22 and 35. While the fund was typically awarded for a single year and offered a stipend of $1,500, renewal was sometimes granted in exceptional cases, and LuValle certainly fit that mold. Ultimately he received a Rosenwald scholarship for both the 1937-38 and 1938-39 school years; by his own reckoning, he would not have been able to complete his doctoral training without this support. While at Caltech, LuValle took several courses taught by Pauling, who had already risen to a high level of prominence within the academy. (LuValle later admitted to worshiping him during this time.) Pauling guided and mentored LuValle throughout his three-year “theoretical and experimental attack on the problem of resonance in conjugated unsaturated organic molecules containing oxygen.” Pauling viewed the project as very promising and was confident in his student’s ability to carry out the research. In 1940 LuValle completed his Caltech Ph.D. in Physical Chemistry while also claiming a minor in Mathematics. His dissertation, titled “An Electron Diffraction Investigation of Several Unsaturated Conjugated Molecules,” detailed his research on the structure and deeper function of vinyl ether and oxalyl chloride, two important compounds that, at the time, had not been satisfactorily investigated. In his study of these two molecules, LuValle concluded that the conjugating power of two carbon-oxygen double bonds was equivalent to the conjugating power of two carbon-carbon double bonds. LuValle’s laboratory work also revealed that thermolysis investigations could be conducted at much lower temperatures than had been used previously. In his Caltech research journal – which is now deposited in the Ava Helen and Linus Pauling Papers – LuValle likewise proposed a new slate of investigations using x-ray and denaturation techniques to study the structure of proteins. Following U.S. entry into World War II, LuValle was invited by a member of the National Defense Research Committee to join a group of scientists who were actively working to develop a suite of weapons for near-term use. LuValle felt that his potential contributions to these efforts were absolutely necessary to helping insure the safety of the American people during World War II. In 1942 LuValle also returned briefly to Caltech to work with Pauling on war-related research, the nature of which neither was permitted to disclose. Based on his previous collaborations with Pauling, it is likely that LuValle contributed to the development of the blood plasma substitute oxypolygelatin, which was one of many government-funded projects that Pauling led during the war years. It did not take long for LuValle to find work. He landed first at Fisk University, a Historically Black College located in Nashville, Tennessee. However, he was quickly disappointed to discover how underdeveloped the Chemistry department was and also to learn that Fisk was facing major budget cuts for the following year. The school was eager to keep LuValle and offered him a raise in pay – from an annual salary of $1,800 to $1,900 – to stay, but LuValle ultimately decided to move north to Rochester, New York in order to work for the Eastman Kodak Company. Eastman Kodak proved to be a good fit, and during his time there LuValle made many significant advancements in the field of photochemistry. In the years that followed, LuValle bounced back and forth between academia and the private sector as he pursued a wide array of career opportunities. Following Eastman Kodak, he worked as a lecturer at Brandeis University, and later conducted research at Technical Operations Inc., Fairchild Space and Defense Systems, Microstatics Laboratory, and the Palo Alto Research Center. Pauling continued to support LuValle throughout all of these changes, writing letters of recommendation that commended his friendliness, industry, and willingness to work with everyone, and making particular note of his facility in the lab and his skill as an instructor. In these letters, Pauling often wrote that LuValle had compared favorably with a group of “extraordinary students” who had also attended Caltech during his years of association. During the War and through 1953, [LuValle] was a top flight Chemist at Eastman Kodak and his research led to many innovations in the development and perfection of Kodachrome and Kodacolor processes. He holds important basic patents in the applied photochemical field together with Eastman Kodak. Once again, Linus Pauling was happy to contribute a secondary letter of support for his former student, who would ultimately receive the award alongside four other prominent Caltech alumni: Morris Muskat (Gulf Oil Company), Stanley Pace (General Dynamics Corporation), Alvin Trivelpace (U.S. Department of Energy) and John Waugh (Massachusetts Institute of Technology). On January 30, 1993, James LuValle passed away, the victim of a heart attack suffered in Te Anau, New Zealand. At the time of his death, LuValle was on holiday with his wife, Jean – a fellow chemist – and his three children, John, Michael, and Phyllis, all of whom pursued careers in the sciences. Over the course of his career, LuValle published about thirty-five technical papers and came to hold eight patents, and his legacy as an Olympian and major figure in photochemistry is utterly unique. Today, the campus student center at UCLA is known as the James E. LuValle Commons, in recognition of LuValle’s career and his contributions to student life at his alma mater.